Tattoo Removal: The Newest Rite of Passage? 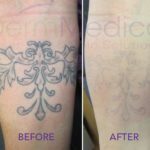 Home » Articles about our Treatments » Tattoo Removal: The Newest Rite of Passage? “You’ll be stuck with that thing forever,” mothers used to warn their newly-inked sons and daughters. Fortunately for those kids, that’s no longer true. Tattoos are easier than ever to remove, and theres no reason to believe the technology isn’t going to get even better. However, amidst all that change, one thing hasn’t: That young people love tattoos. The combination of the popularity of tattoos and the ease with which they can be removed has created an interesting trend: A renewing cycle of young people getting tattoos in their teens and 20s, and then removing them later on for a variety of different reasons. In a way, it’s become a rite of passage. This popular trend was recently explored in a CBC news article that followed several young people who were currently looking to have their tattoos removed. The similarities in age were notable, as were the reasons they gave for ultimately losing their ink. The early 30s appeared to be the sweet spot for laser tattoo removal, and there’s little mystery why. It’s an age where many people choose to focus more seriously on their professional career. Not everyone was concerned about work, however. Just as many people said the change was a result of changes in fashion. 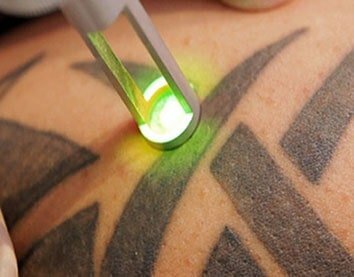 As CBC explored, tattoo removal is a trend that is growing rapidly. So rapidly in fact, that experts are becoming worried that consumer protection is falling behind. Many clinics are being opened by people without any medical experience. As other stories have explored, this is creating painful problems for some. 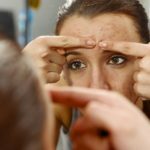 It’s because of problems like these that the Canadian Dermatology Association is lobbying for more controls on procedures. They support restricting these treatments so that they can only be performed by doctors. In fact, many doctors are reporting that people come to their clinics to be treated for mistakes made by non-medical clinics. There’s no reason to believe that tattoos are going to be any less popular in the decades to come. And for that reason, there’s no reason to think that tattoo removal won’t remain just as popular. Whether it will become a rite of passage remains to be seen, but there’s no denying that we’re seeing the beginning of a pattern.